It's a great community. the Crypto Unicorn Money team provides you answers to any question very quickly. Transparent payouts with video. Highly recommend if you want to start with masternodes with a tight budget. CryptoUnicornMoney runs a reliable Masternode service with full transparency. I have 100% trust in him. I found out about C.U. through Sensei Kevlar, creator of Trader Plan. I must say this is a very transparent group with a family like setting. Everyone helps around here. If you're looking to get into masternodes and make some money, this is your place. I trust these guys and I plan to be here for a long time to come. Ease of use/sign up...CHECK Great selections of MasterNodes...CHECK Low/no maintenance...CHECK PASSIVE INCOME WEEKLY...CHECK!!! I always wanted to invest in masternodes but had no clue on how to go about starting one. While researching I found Casey’s discord, you wouldn’t find a more honest guy who is actually running more that 80 nodes. We need more honest communities like this nowadays every wants to be scammers. Great job Casey your site is awesome! Our goal is to help you get into Master Nodes no matter what your budget. Each Master Node we get has its own ROI that changes every day. Master Nodes range from $50 to $500,000 for ONE Master Node! We try to build 3-5 MN’s per week depending on the Cryptocurrencies we are trying to do. ICO’s are one of the most talked about things in the crypto community. Choosing to be a part of the right ICO is the most important part. In our community, you can ask about the PRO’s & CON’s of an ICO. We Do Not Give Financial Advice! This is our ELITE SUPER SECRET Group. This is where I have gathered the BEST in the Crypto Under Ground World. My goal with this group of people is to have the best and brightest helping others like you get the most out of the Crypto World. Now there is a hefty price to be in the group and we raise the price everytime 5 people join us! If you would like to Join this private group please message on Discord! Well if you made it this far, I am proud of you! 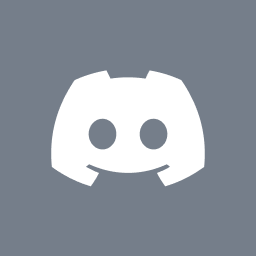 Here is my last suggestion for you, Join Our Discord Community! We have over 700 Members of like-minded people!